I was so excited when Mama et Maman nominated me to participate in the recipe trade off. Mr. MPB and I love to cook and eat, so this was right up our alley and provided us with the perfect excuse to spend an evening together in the kitchen. And, as an added bonus, it was a wonderful excuse for Mr. MPB to make my all-time favourite dessert. While it’s not part of the rules, I started by making Mama et Manan’s Thai Red Curry recipe for supper. We did not have all the same ingredients in the house (i.e. fish sauce and rice – who runs out rice? ), it still turned out wonderfully with our creative substitution of a wild quinoa mix). There is absolutely nothing healthy about this delectable dessert. It is made with real butter and is gluten filled. And it is oh, so delicious! 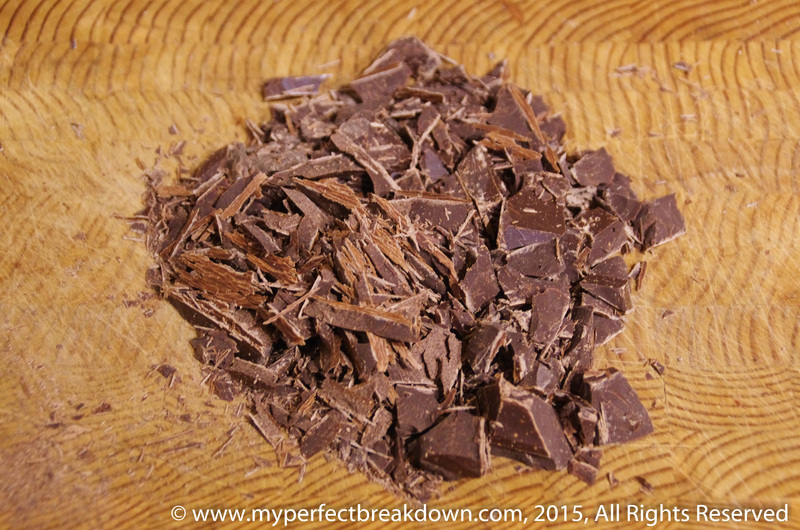 In a microwavable bowl or double boiler, add about dark chocolate chopped into little pieces. (When it comes to chocolate for this recipe we use only the best – Bernard Callebaut). Add about 1 tablespoon of butter. Microwave or melt in a double boiler. 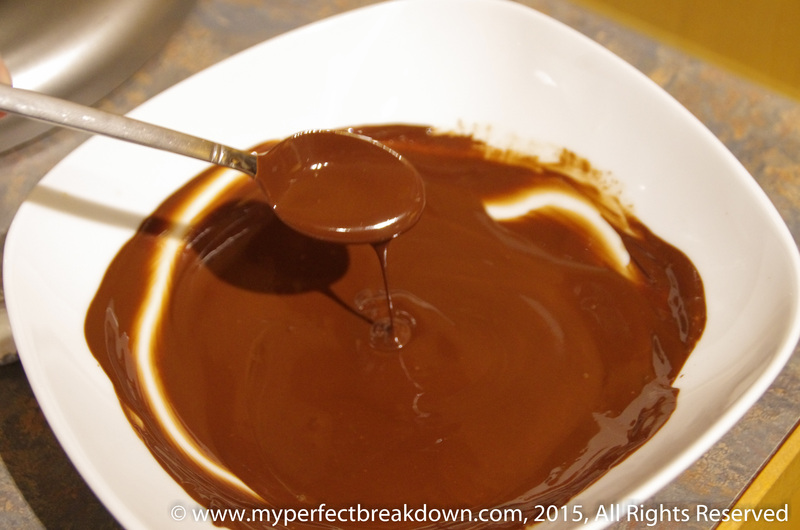 Watch closely and stir frequently to avoid burning the chocolate. When the chocolate runs smooth, it is ready. 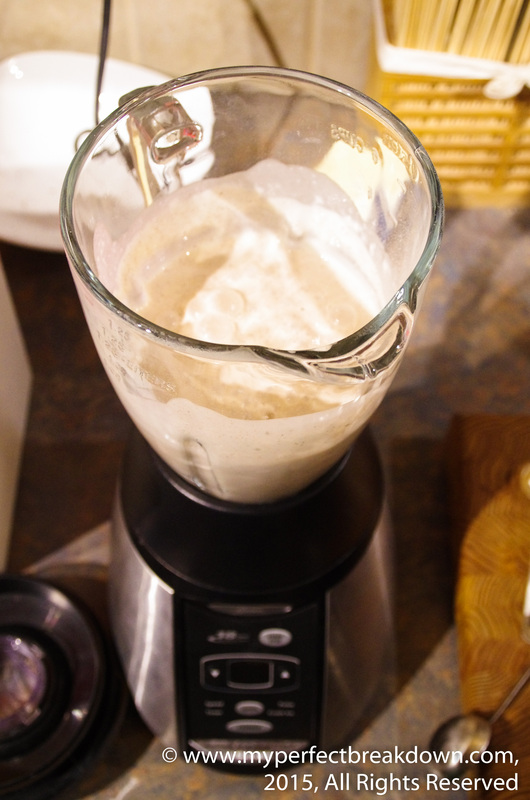 Add 1 1/3 cup of flour to the blender. Add about 1 teaspoon of cinnamon (more or less depending on your preference) and blend on high until smooth. 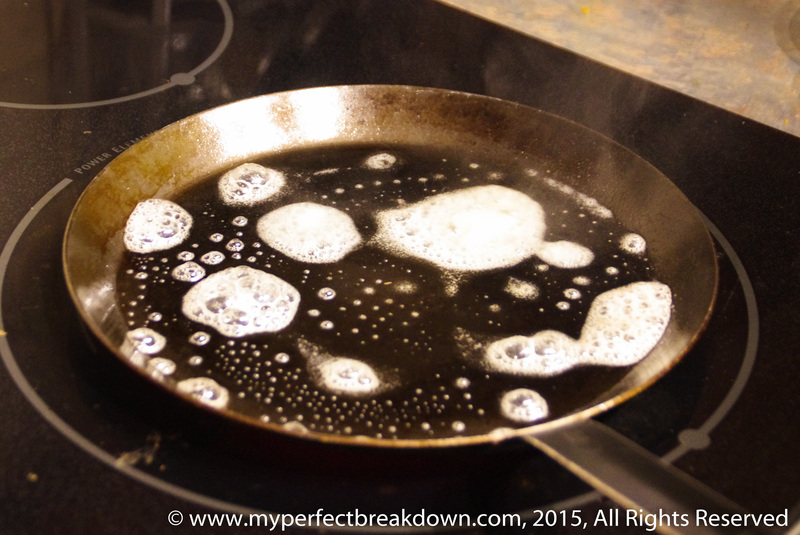 Using a hot cast-iron crepe pan (or non-stick frying pan), melt a chunk of butter. 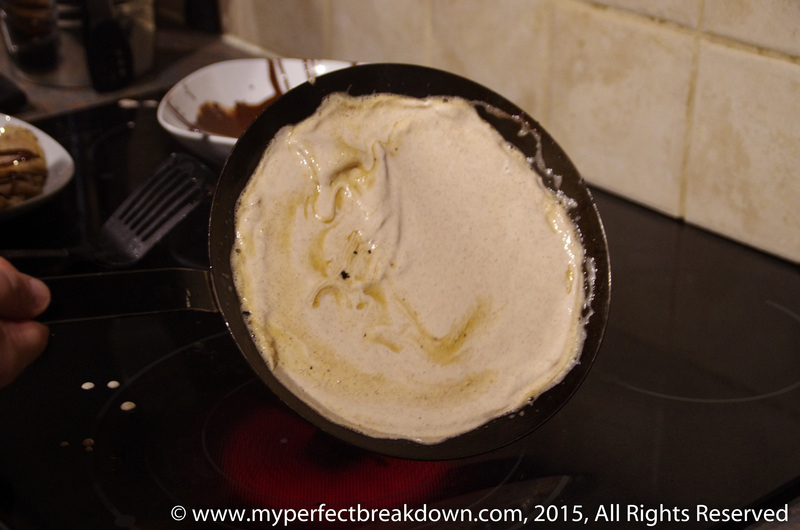 Pour the crepe batter onto pan. Using gravity spread it out evenly over the pan. The batter should be very thin – about 1 to 2 millimeters thick. Cook until golden brown and flip over. 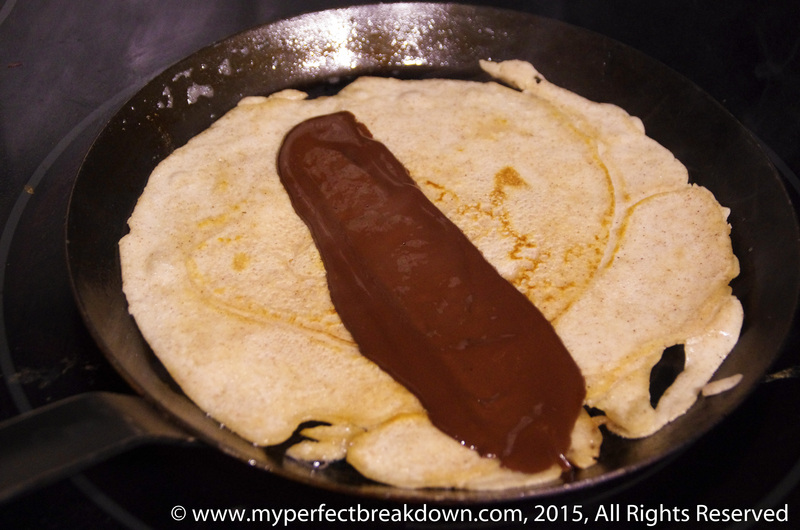 Spread some chocolate on the middle of the crepe and let it warm up while the second side cooks. Once golden brown, fold in the sides and plate. 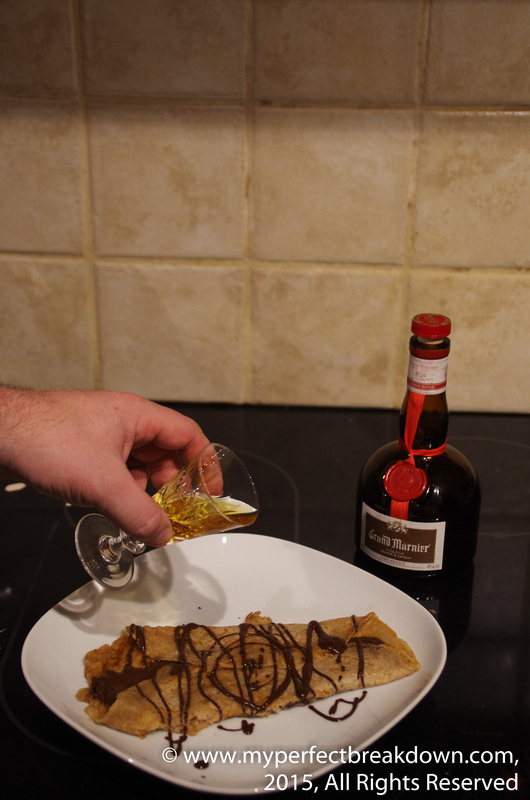 To finish, drizzle a touch more chocolate on top and add a sprinkling of sugar. Beautiful colours in your curry! Those crepes look amazing. 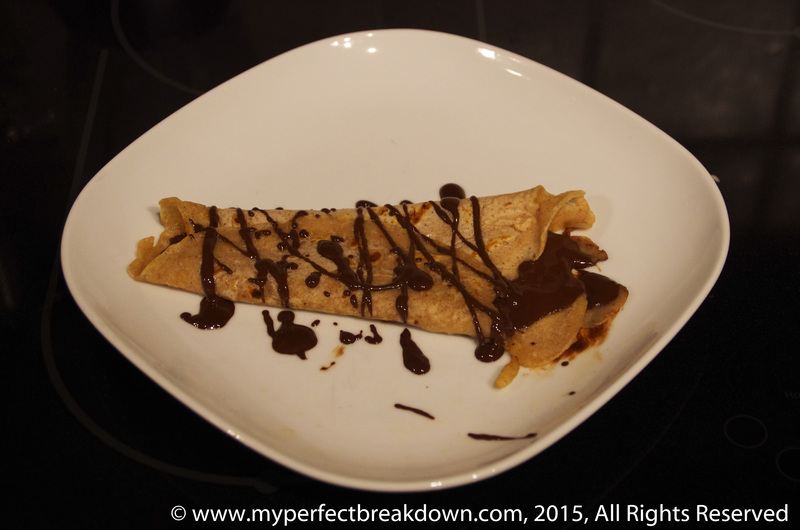 I may have to make them sometime soon for DW, as crepes are her favourite! 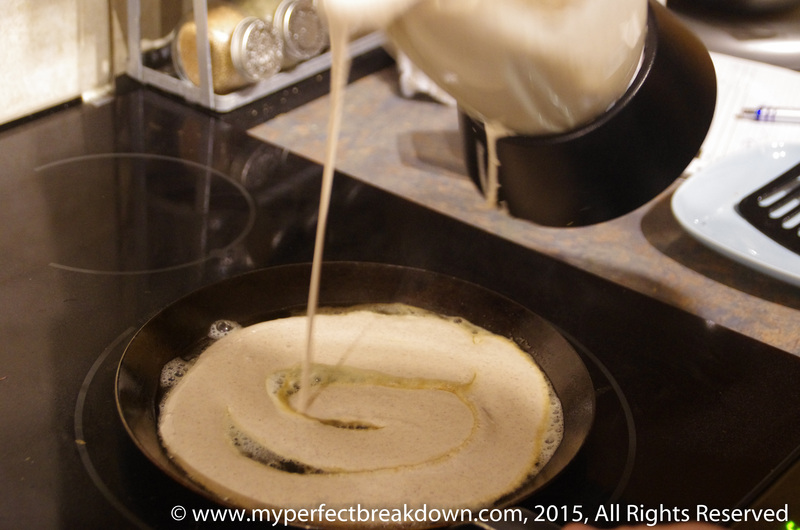 I have a gluten-free crepe flour substitute that will work too! 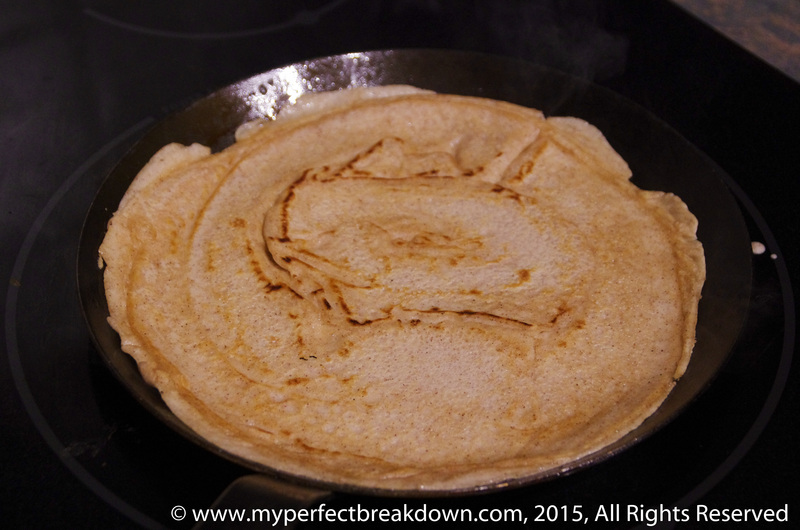 I highly recommend trying the gluten-free crepe flour – I’m curious how it turns out for you. YUMMY! I wonder if I could make it with carob instead of chocolate? I’m one of the lucky ones that are allergic to cocoa! My sister was horribly allergic to cocoa, I was always so thankful that I was not! I say give it a try with carob. I hope it works! Thanks for the nomination! I’m not really a fancy cook but I’ll have to figure out something good to share. 🙂 And those crepes look delicious! Oh my gosh that looks so delectable. Thank you for nominating me. Now I need to think up something yummy to share! It may just be the distraction you need right now. Love to you. That looks amazing! Can you believe that I’ve never had a crepe in my life!?!? I have an easy, yummy dessert recipe I can share, I just don’t have any pictures to put with it. I’ll get on it tomorrow! I am excited to try your dessert recipe. I will definitely try it once you share it. They are my absolute favourite treat, I hope you like them as well! That seriously looks amazing! Thanks for nominating me! This will be fun! We had so much fun spending the evening cooking and baking. I hope you do too! And, I’m excited to see what you share and to try recreating it myself. Apparently im not very good at the rules, as i forgot to post “the rules” and forgot to nominate anyone! Oops. Looks like you nominated to make up for me though! These crepes look amazing! Ive always wanted to try to properly make crepes, maybe i will now! Yum. I say rules are meant to be broken! I just went to my blog and its still there. Maybe a technical glich? Weird! I’ll keep a close eye to see your next post. Thank you! Let me know if you still cant find it tomorrow. Will do! I’ll be sure to comment when I see your post in my news feed or to comment here if nothing appears.